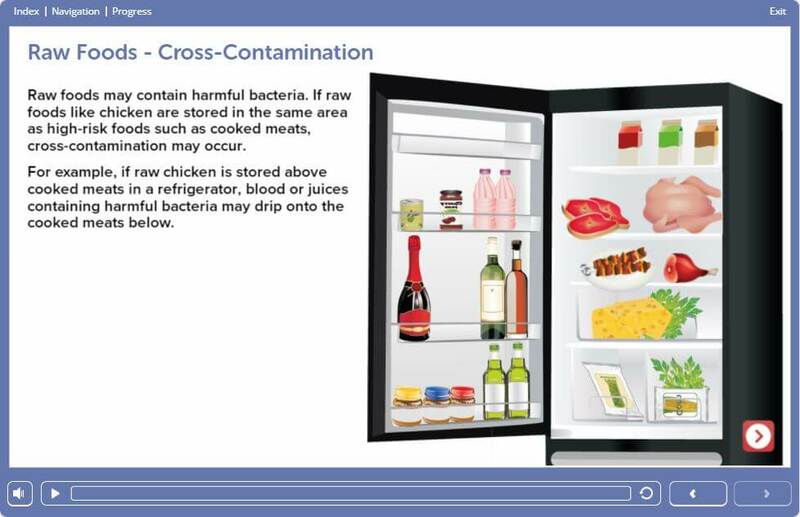 This Basic Food Hygiene Training course is simple but effective and employees must be aware of the requirements to keep it fresh e.g. temperature controlled storage, shelf life, stock rotation and many other topics. It is essential that retailers receive good training to be able to consistently perform to high food safety standards through understanding. Once a food product is ready, the most common route to market is via a retail outlet or shop. All employees must be trained to ensure that the food they have delivered maintains its quality before sale and is stored and handled under optimum conditions. .
Who is this level 1 food safety in retail for? 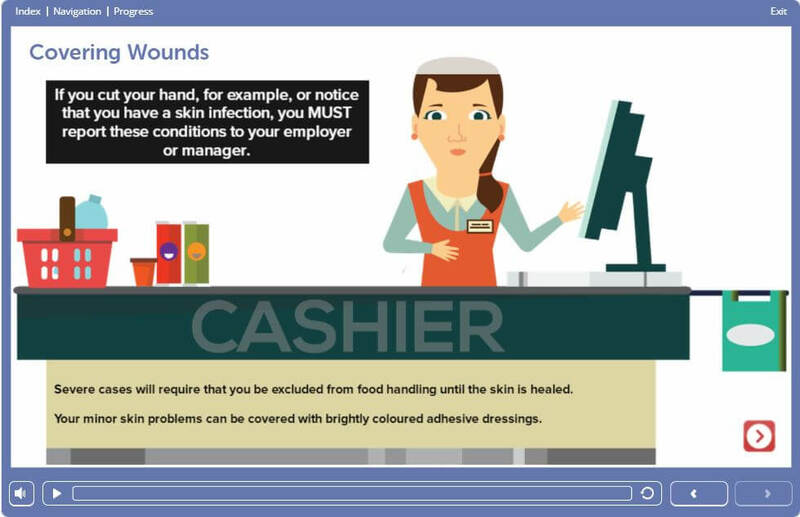 The Basic Food Hygiene Training course has an introduction and eleven further sections, focussing on learners involved in the retail industry. Each section contains an activity intended to highlight and re-enforce the learning. Holders of this level 1 awareness of Food Safety for Retail will have knowledge and understanding of the importance of keeping themselves clean, the food product hygienic and will understand the importance of maintaining good food handling practices. 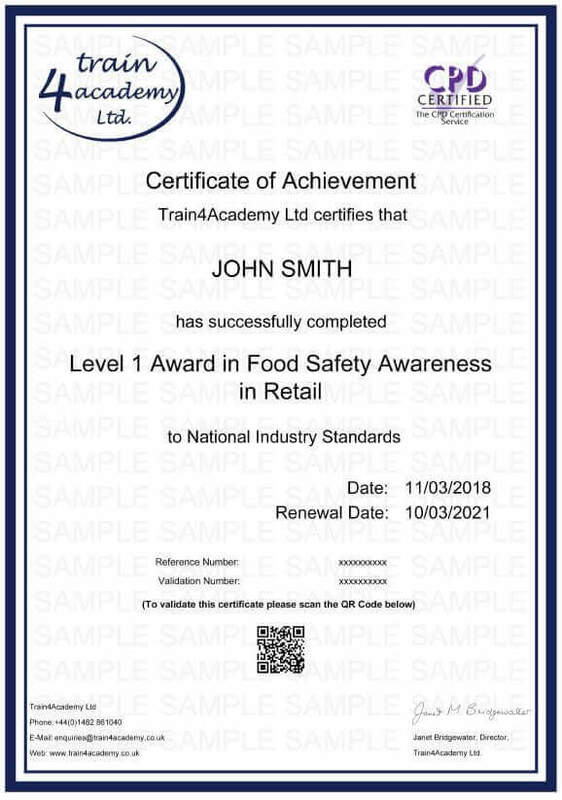 For those handling low risk or unwrapped food it may be all the training needed, or for those wishing to progress to level 2 Food Safety in Retail, it will form the basis of learning for achievement at level 2. Our Level 1 Food Safety & Hygiene in Retail course is a certified by Continuing Professional Development (CPD). How long does a Level 1 Food Hygiene Certificate last? 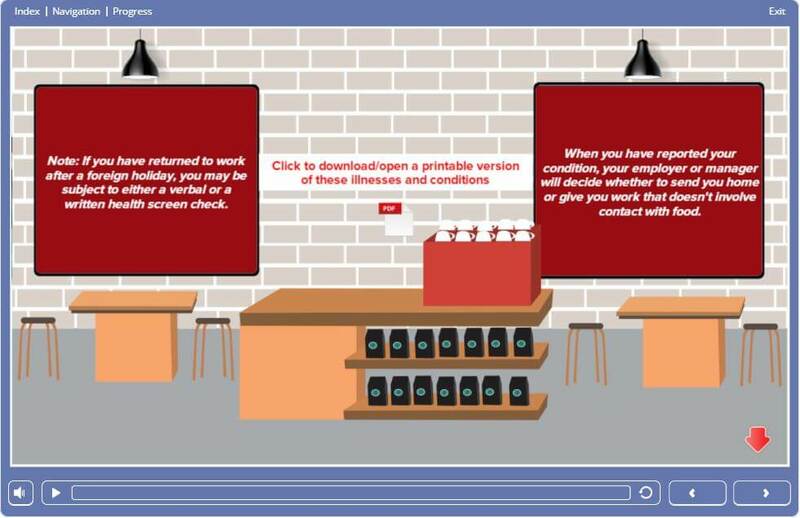 Our Food Safety and Hygiene Level 1 in Retail course has been approved by Environmental Health Officers with its content developed in accordance to their guidelines, which means you can be sure you’re receiving the right training for your role. This level 1 food hyiene and safety in retail course provides 1 point towards your Continuing Professional Development (CPD). The online assessment for the course consists of 20 multiple-choice questions. In order to be successful, candidates must achieve a 75% pass mark to obtain the certificate. The average time required to complete the learning is approximately 1.5 - 2 hours. However, the course is designed to go at the pace of the learner and can be completed in more time if needed. If you don’t pass the assessment first time there is no need to worry. We offer you unlimited FREE resists to make sure that you pass and get your certificate in food safety & hygiene level 1 in retail, stress free. This course has an introduction, and eleven sections of learning. After each section there is an activity which is intended to help re-enforce the understanding and retention of the learning. 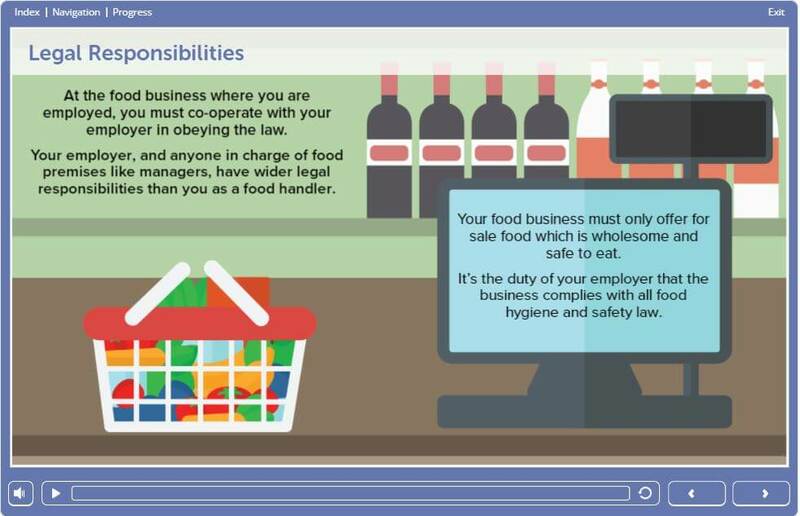 When taking part in our online course, you will cover the following module: Food Safety in Retail Level 1.